And that is where it sits. If we believe that Mr. Perp replied truthfully to Bragalia, and that Bragalia correctly reported it to us, then we have something that resembles a confession. Except that we don’t know who is making the supposed “confession,” or exactly what he is confessing to. So, Believe it or Not. However, French skeptic Giles Fernandez pointed out that he had discovered several years earlier that this photo actually shows physics students from UC Davis visiting Intel, and suiting up in special ‘clean room’ suits, designed to prevent contamination of silicon wafers used in the manufacture of integrated circuits. It has nothing to do with Socorro or NMIMT. When this was pointed out to Bragalia, he blamed the error on his Webmaster, and said that the caption was being changed to “The Small Figures in White Coveralls, Similar to New Mexico Tech Physics Department in the Mid-1960s” (emphasis added). Why tech students in 1964 would be wearing suits similar to those used in contemporary Clean Rooms, designed to filter out the tiniest submicroscopic particles, was not explained. Or maybe he simply meant that the students had white overalls, like plumbers and handymen sometimes wear. How incredible would that be? Dr. Frank Etscorn, New Mexico Tech administrator and behavioral psychologist, reportedly affirms the event to be a hoax. One of his graduate students reportedly investigated and solved the “mystery” of what happened, and who was involved. Unfortunately, further details are not available. “We come back to the speeding car, which started the whole business. We certainly would like to know more about this. You have made it clear that Zamora was a gruff type, who enjoyed giving out tickets. It seems entirely reasonable that he might have antagonized some of the local teenagers, who devised a hoax to get even. This explanation, I might add, independently occurred to both Lyle and myself. The whole thing could easily have been planned to come off about as it did. The car came into his line of sight from a side road. Which side road? Could it have been from the direction of the flame and roar? Apparently Zamora thought he knew the occupant of the speeding car (Vivian Reynolds?) Was this driver ever found and questioned as to what he heard or saw? Did Zamora have a regular patrol route so that his approximate whereabouts would be known at a given time? In other words, we see as the most likely possibility that someone planned the whole business to “get” Zamora.”(p. 142 in case documents scanned by Paul Dean). As the investigators were leaving the actual site, they noticed an area approximately 1 3/4 miles away, which gleamed in the sunlight. Extracting binoculars from their vehicle, they viewed what appeared to be an abandoned aircraft junkyard. Later, they discovered that the aircraft were part of the property of a local technical school – New Mexico Institute of Mining and Technology. This information was obtained from a clerk who works for the City Court system. He warned the researchers not to enter the storage area, because two men were recently convicted of breaking into this property. GSW’s team became curious and decided a closer look at the area was warranted. They traveled on a road through the technical school’s campus and came upon a barrier. Walking some distance away from the road they found a point at which the contents of the storage area could be viewed. To their amazement, the area contained a large variety of both segmented and intact aircraft. There appeared to be some Navy and Marine jet fighters, some Bell “X” aircraft and a nose section of a large ballistic missile. GSW determined that the property did indeed belong to NMIMT. They contacted C. B. Moore, professor of atmospherics, and a man who plays a significant role in UFO history quite independent of this, primarily because of his connection with Project Mogul. Moore told them that the junked aircraft were part of the Terminal Effects Program, which began in 1947, with most of the aircraft arriving during the 1950s. Moore replied to GSW that he had investigated the Zamora incident on his own, “and can assure you that there is little probability that it had anything to do with students or the Institute. If we can believe Officer Zamora (and there is no reason except for the strangeness of the observation that we should not), then it appears that he saw a Lunar Landing Module (LEM) but his observation was at least 12 months before the module was first tested here.” A very strange comment, indeed! How did the two students in white overalls make themselves disappear, especially since Zamora and Officer Chavez were walking the site of the alleged landing just a few minutes later? This would seem to require something like a magician’s disappearing act. Bragalia’s supposed “Perp” is allegedly a professional man unwilling to open himself up to humiliation and scorn, and professional damage, over his role in this incident. 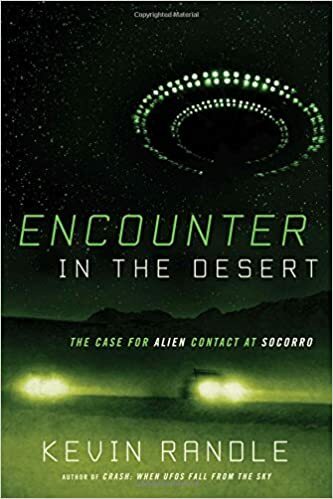 However, Blogger Curt Collins recently wrote about two men, a Professor of Radiobiology and a Senior Biologist, who confessed in 1976 to perpetrating a ‘still unsolved’ UFO hoax at Oak Ridge National Laboratory about 1951. As far as is known, neither of the two men suffered any repercussions from this. Dave Thomas, founder of the skeptical organization New Mexicans for Science and Reason, is a NMIMT graduate. To look into the possibility of a hoax originating with NMIMT students, he set up an internal website available only to those who are students, employees, or alumni of NMIMT. Its purpose was to allow people to tell what, if anything, they knew about the 1964 Zamora incident. While a few people expressed the opinion that it was a student hoax, there was no specific or useful information obtained from anyone. This strongly suggests that no ‘student hoax’ existed. Thomas has suggested an interesting possibility of what Zamora may have seen. According to documents obtained from the White Sands Missile Range, “on April 24, 1964, there were special tests being conducted at the north end of the White Sands Missile Range (WSMR) involving a helicopter used to carry a Lunar Surveyor around for some tests… Surveyor was a three-legged, unmanned probe, which was used to learn about the moon before the Apollo program got there….The Surveyor tests were done with a small Bell helicopter that supported the craft from its side… The tests missions were manned by a helicopter pilot and a Hughes engineer – two persons, in white coveralls.” Not only does the time of day of this planned test (morning) not match Zamora’s sighting (which occurred just before 6 PM), but this is a long way from Socorro, about 80 miles as the helicopter flies. Still, as Thomas notes, “things don’t always go “according to plan,” and many tests which have defied completion by morning have been known to somehow get finished up in the afternoon.” The possibility of the Surveyor testing cannot be ruled out. 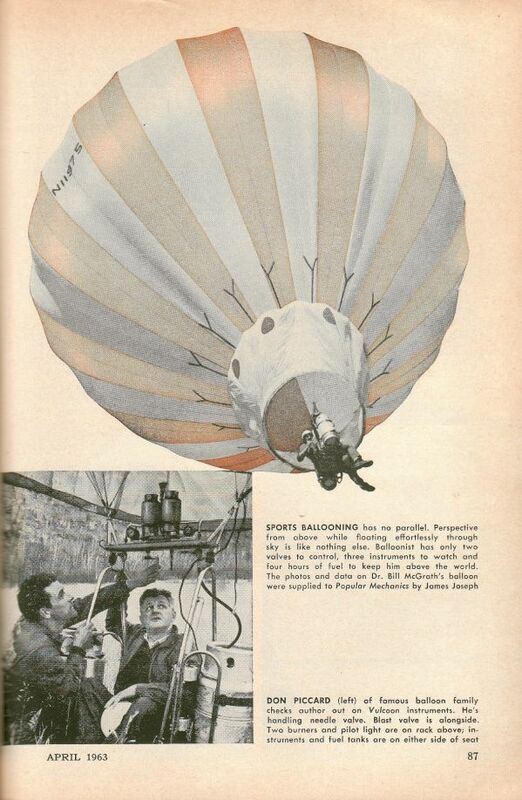 In 1996, engineer Eugene Robinson of Indiana University suggested that what Zamora saw was an early version of a propane-powered hot air balloon. This explanation has been largely ignored by UFOlogists. It was not even mentioned by Randle in his Socorro book. When asked why, he replied that it was a “non-starter.” I’m not so sure about that. The propane burners on such a balloon make a loud “woosh,” as Zamora described hearing. It seems quite likely he may have seen an experimental two-man propane hot air balloon briefly land, then take off again. In fact, that suggestion seems to best match the details Zamora reported. Might this two-man balloon be what Zamora saw? Given all these conflicting yet plausible explanations, it is difficult to say for sure what Zamora saw. 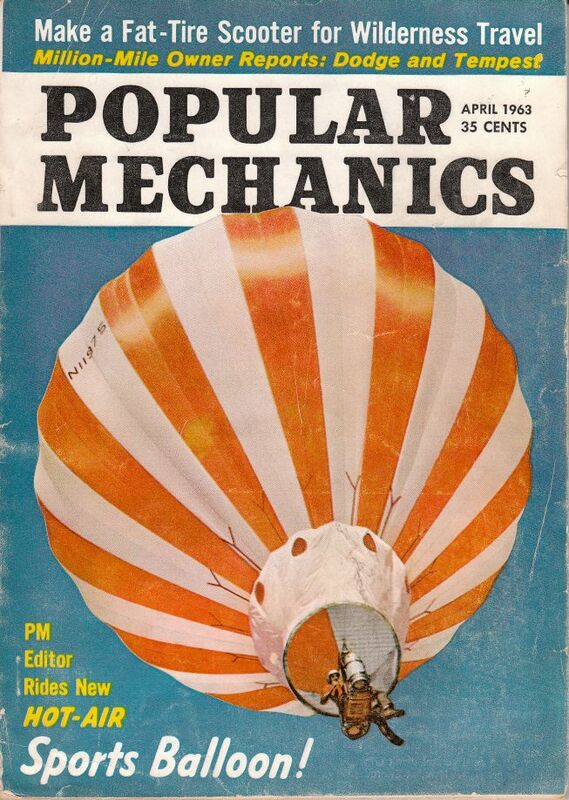 Unless someone can explain convincingly exactly how the supposed “student hoax” was carried out, I will assume that the unexpected landing of a newfangled propane hot-air balloon is the most likely explanation for this classic UFO incident.